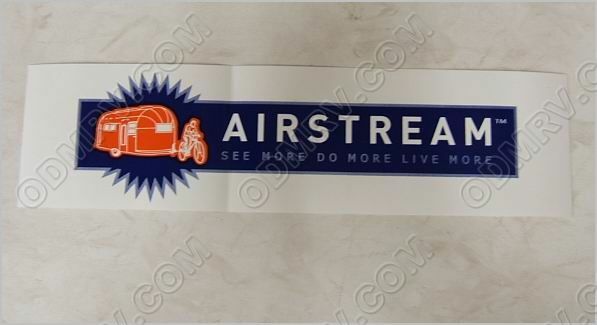 Airstream Bumper Sticker 26369W-04 [26369W-04] - $2.95 : Out-of-Doors Mart!, More Airstream Parts on-line than anyone! 26369W-04 This Airstream Bumper Sticker has a peel and stick 3M adhesive for attaching to the surface. It measures 11.5in by 3in. See Pictures.